Ok, this has to be my favourite Halloweenie mani so far, pretty much ever! When I was trying to come up with ideas using only the Barry M polishes that I was sent over I tried stamping them all to see what I was working with. When I saw that Celestial Silver stamped looked kind of grey I remembered that I had the awesome Stranger Things stamping plate from NerdNailsPlates (who are coming back soon, check out their Instagram) and I knew I had to do a Stranger Things mani with these. Polishes Used: Barry M Cotton, Black Forest, Celestial Silver, Blood Orange and Plumpy Topcoat. 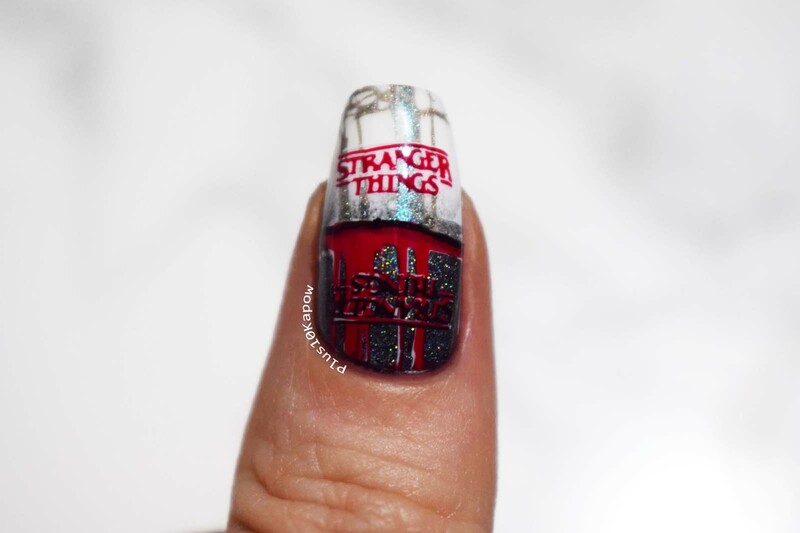 Stamping Plate used: NerdNailsPlates Stranger Things acrylic stamping plate. So I sponged on a gradient of Barry M Black Forest and Barry M Cotton, then over the Black Forest I lightly sponged on Barry M Celestial Silver. Over the Cotton I stamped trees using Celestial Silver. Then over the dark part of the gradient I stamped trees in Cotton first, then I stamped the trees again in Blood Orange. I stamped the figures using Black Forest and on my thumb I stamped the Stranger Things words using Black Forest and Blood Orange. I topped this all of with Barry M Plumpy Topcoat. I have another mani that I am trying to work out using some of the polishes I was sent over but I am not quite sure on it yet, hopefully I can work it out. 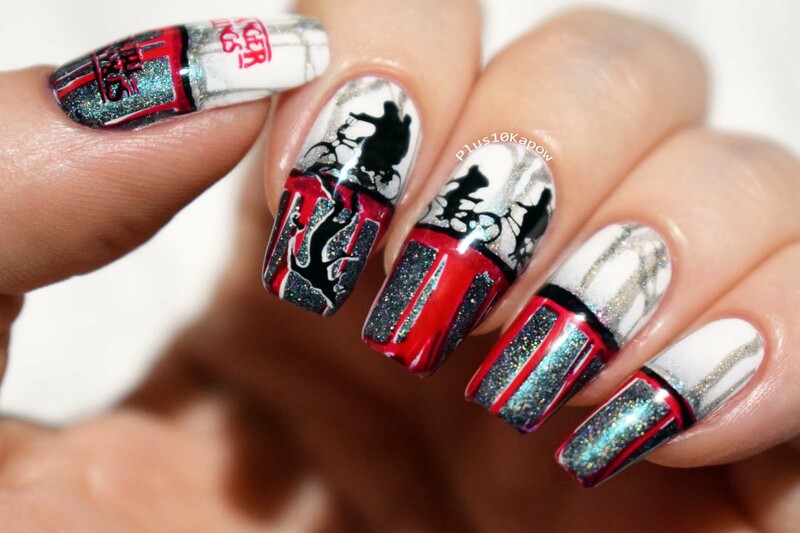 But, this is not the last Halloween nail art you will see from me, so stick with me if you fancy seeing more. All of these polishes are available from the Barry M website for £3.99 each.